Malabar Gold & Diamonds runs 8th edition of Malabar Gold & Diamonds Festival in their showrooms in UAE. Unveiled latest collection of jewellery in gold, diamonds and precious gems to celebrate this festive season. Dubai, UAE, December 06, 2018: Malabar Gold & Diamonds, one among the largest jewellery retailers globally with a strong retail network of 250 retail outlets spread across 10 countries has unveiled the details of their 8th edition of ‘Malabar Gold & Diamonds Festival’ in UAE running till 25th of December, 2018. This season, Malabar Gold & Diamonds showcases the latest collection of gold, diamond & precious gems jewellery in their outlets, to celebrate this festive period. The festival brings unprecedented opportunities to avail free gold coins with jewellery purchases. 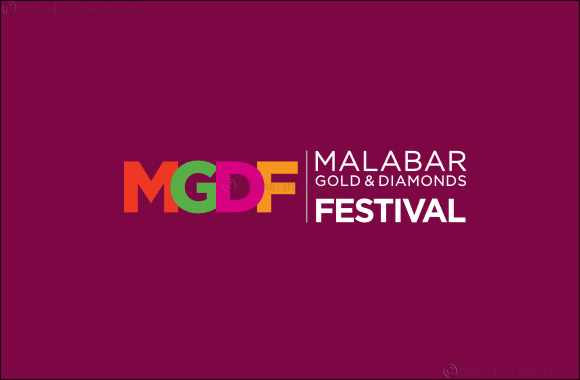 A true shopper’s delight, Malabar Gold & Diamonds Festival will captivate the customers by exhibiting eye catchy designs in gold, diamonds, platinum, and precious gems from different parts of the world to flaunt any occasion or event and are well priced too. With every purchase of diamond jewelry worth AED 3000, customers get a free 1 gm gold coin. Customers also get free gold coins on every purchase of 18k gold jewellery worth AED 1000. These offers are valid till 25th of Decemeber, 2018 at all outlets in UAE.